The Uffizi against the camorra: an exhibition in Casal di Principe. 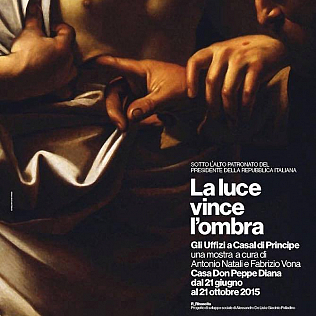 The Uffizi Gallery participates in the exhibition “La luce vince l’ombra” (The light wins the shadow). The exhibition will open on June 21st and it will remain on view until October 21st. It will take place in a mansion confiscated from a criminal boss of the Camorra and then given to the association “Don Peppe Diana” (don Peppe Diana was a priest murdered by the camorra). Camorra is the biggest criminal organization in Campania, a kind of mafia. Eight paintings of the Caraveggesque school have left the Gallery for the first time, and they have reached Casal di Principe, protected and escorted by Francesca de Luca, director of the Department of the 17th century Painting. Researchers have chosen some paintings linked to the Neapolitan artistic tradition, where many artists were inspired by Caravaggio’s work. Some of these paintings are: a self-portrait by Luca Giordano, Santa Caterina da Siena by Artemisia Gentileschi, San Girolamo by de Ribera. The presence of the Musical Concert by Bartolomeo Manfredi is very significative: this painting has been deeply damaged by the mafia bomb put in Via dei Georgofili in 1993. The bomb killed five people and damaged part of the Vasari Corridor and some paintings by the Caravaggesque painters of the Gallery. There are also nine artworks from the Capodimonte Museum in Naples, a Mater Matuta from the museo Campano in Capua and the Fate Presto painting by Andy Warhol, from the Reggia di Caserta. The exhibition is curated by the director of the Uffizi Antonio Natali and by Fabrizio Vona: it is an important demonstration of liberation from the mafia that injures this region. Art is the way to this liberation: guys and girls from the area have been involved and they are called “Ambassadors of the Rebirth”. It is a very important occasion for Italian history, art and society, an exhibition that you can’t miss!